This is my 95th post so far, my goal is 100 posts by 2014, 5 more to go before entering 2015, wish me luck! Since I’m racing with time to accomplish the goal, I’ve been looking into my files to see projects that haven’t been posted yet and this is one of them. 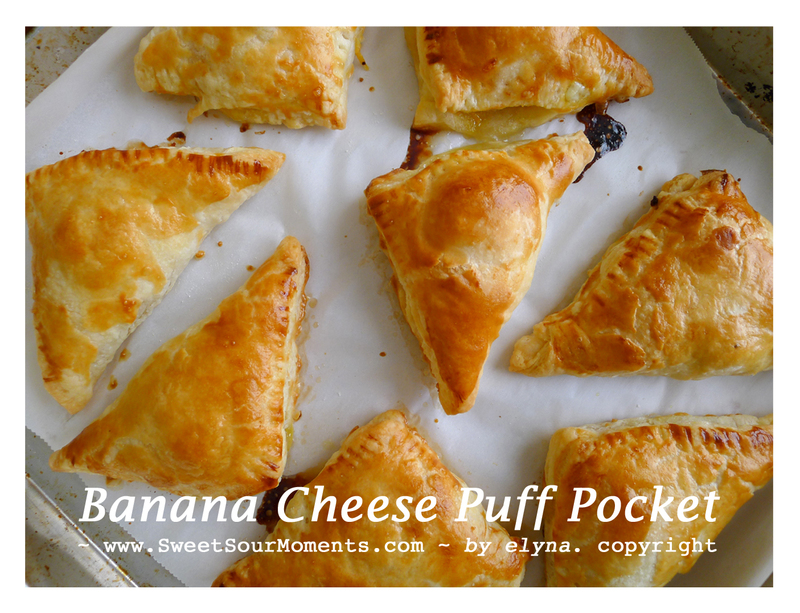 I made this puff pocket often, but this one is different from what I usually made because I made the pastry from scratch. 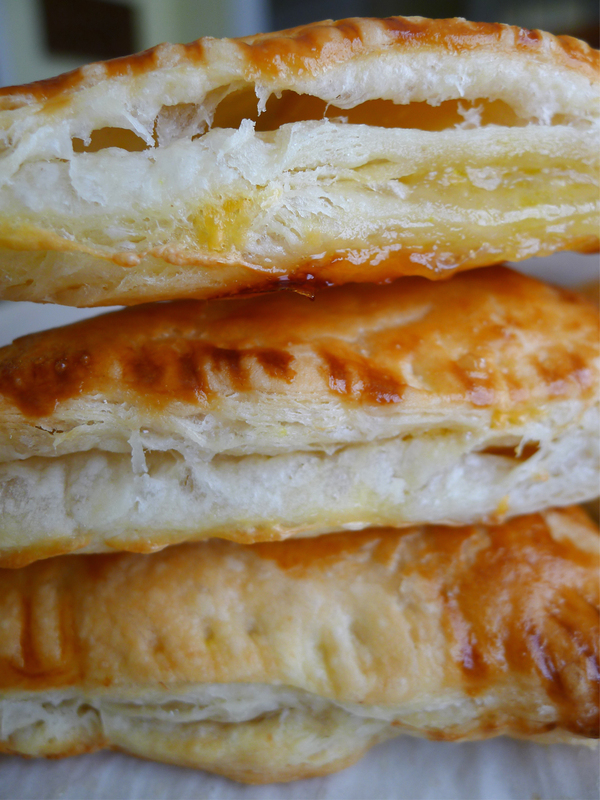 If you are looking for puff pastry recipe that is easy and fast, this is the recipe I got from A flock in the city blog: http://www.aflockinthecity.com/2012/04/17/homemade-puff-pastry-the-quicker-version-by-nick-malgieri/ . I didn’t use food processor, just pastry blade. Another thing that I learned is you have to move fast to prevent the butter becomes too soft. When your puff pastry is ready, cut it in 3″x3″ square, add slices of banana and shredded cheese, sprinkle with sugar then fold half to triangle shape, brush with egg wash, baked until golden brown, that’s it!